Carl Edwards won the Toyota Owners 400 Sprint Cup Series race at Richmond International Raceway for his 2nd win of the season, 2nd win at Richmond and 27th career win. Edwards led 151 of the 400 laps, but was trailing teammate Kyle Busch on the final lap when he bumped him going into turn 4 to push Busch out of the groove and take the win. 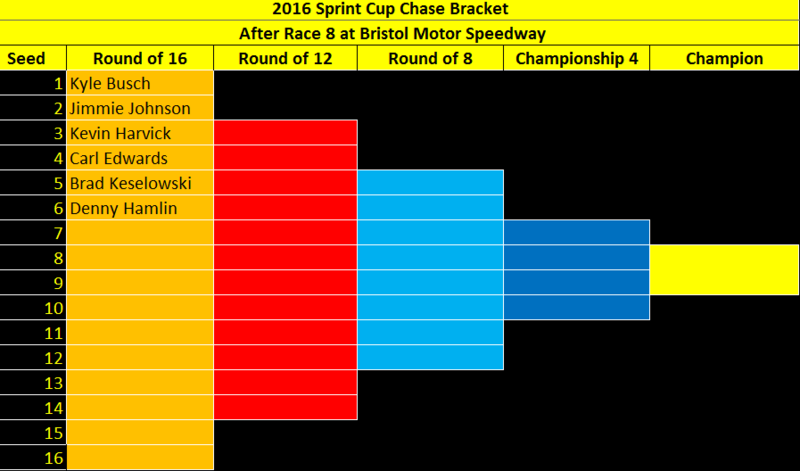 Busch held on for 2nd followed by Johnson, Kahne, pole sitter Harvick, Hamlin, Kenseth, Logano, Truex, Jr., and Busch. Stewart, in his first race of the year, lost a lap early but battled back for a 19th place, lead lap finish. NASCAR post-race inspection is done. All clear. Cars to R&D Center: 19 and 18. 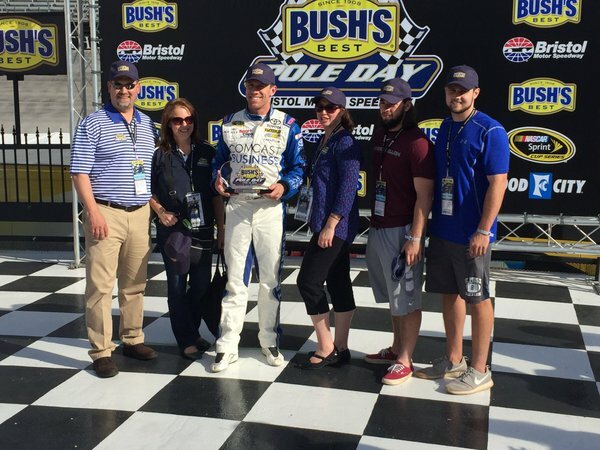 From the pole to victory lane, Carl Edwards dominated Sunday’s 2016 NASCAR Sprint Cup Series (NSCS) Food City 500 at Bristol Motor Speedway (BMS). Coming back after being 2-laps down, Dale Earnhardt Jr., fought his way to the runner-up position, and he was followed by Kurt Busch finishing third, series Rookie of the Year (ROTY) candidate, Chase Elliott fourth and Trevor Bayne finished fifth. 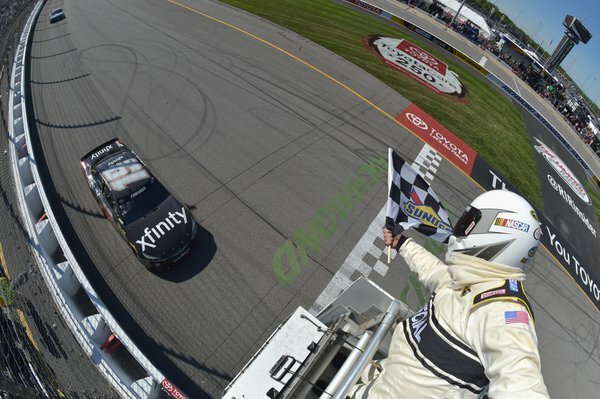 An impressive sixth-place finish by Matt DiBenedetto, while the 2014 series champion Kevin Harvick finished seventh, Clint Bowyer eighth, Ryan Newman ninth and Joey Logano rounding out the top-10 finishing positions. With his seventh-place finish, Kevin Harvick leaves Bristol with a 1-point lead over Carl Edwards. NASCAR post-race inspection is done. All clear. No issues. They are taking cars of 19 and 88 back to R&D Center. Time of Race: 3 Hrs, 15 Mins, 52 Secs. Up Next: The series heads to Richmond International Raceway for the Toyota Owners 400 on Sunday, April 24th, with an approximate starting time of 1:20 p.m. (ET) on FOX. 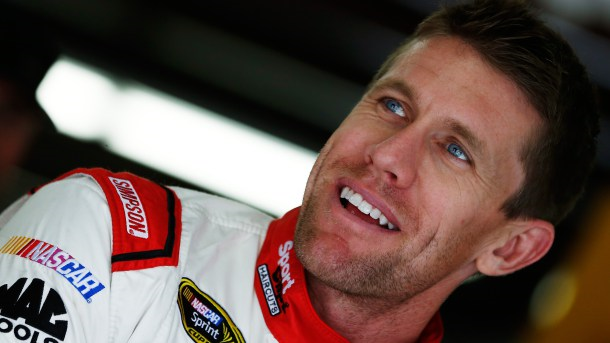 For the second consecutive 2016 NASCAR Sprint Cup Series (NSCS) race weekend, Carl Edwards finds himself on the pole, as he ran the top qualifying lap speed of 127.997 MPH in Friday’s Food City 500 qualifying session at Bristol Motor Speedway (BMS). This was Edwards’ second series pole and sixth top-10 starting position of the season, his 18th series career pole in 417 races and his third series pole in 24 race at BMS. Matt Kenseth will start on the outside pole in second with a qualifying lap speed of 127.419 MPH, and he’ll be followed by Joey Logano (127.191 MPH) starting third, Denny Hamlin (126.804) fourth and Kyle Busch (126.553) starts fifth. Rounding out the top-10 starting positions will be Jimmie Johnson (126.461 MPH) starting from sixth, Kevin Harvick (126.112) seventh, Martin Truex Jr. (126.021) eighth, while AJ Allmendinger and Trevor Bayne (with the identical lap speed of 125.815 MPH) will start ninth and 10th respectively. On Saturday, the teams will have two more practice sessions beginning with a early morning session from 8:30 a.m. – 9:25 a.m. (ET) on FOX Sports 1, and then their “Happy Hour” (final) practice from 11:00 a.m. – 11:55 a.m (ET) on FOX Sports 1. 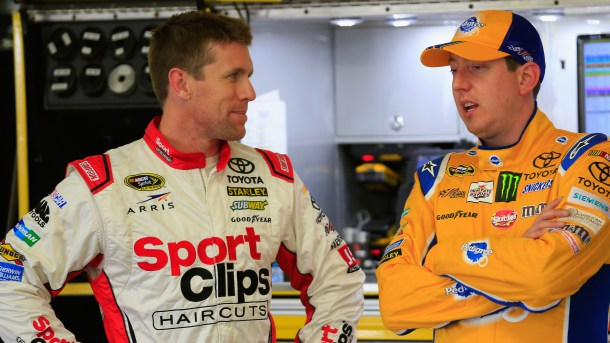 Carl Edwards, with a qualifying lap speed of 137.980 MPH, captured the pole early Friday evening for the NASCAR Sprint Cup Series (NSCS) SYLVANIA 300 on Sunday at New Hampshire Motor Speedway (NHMS). This was Edwards’ third series pole and 16th top-10 start of the 2015 season, his 16th series career pole in 401 races and his second series pole in 23 races at New Hampshire. The reigning series champion, Kevin Harvick, will start on the outside pole in second with a qualifying lap speed of 137.845 MPH; followed by his fellow Stewart-Haas Racing (SHR) teammate, Kurt Busch (137.800 MPH) starting third, Brad Keselowski (137.671) fourth and Jimmie Johnson (137.621) starts fifth. Rounding out the top-10 starting positions will be Kyle Larson (137.517 MPH) starting from sixth, Denny Hamlin (137.457) seventh, Joey Logano (137.378) eighth, Ryan Newman (137.022) ninth and Jeff Gordon (136.580) will start 10th. Failing to make the 43-car field and going home was Travis Kvapil. 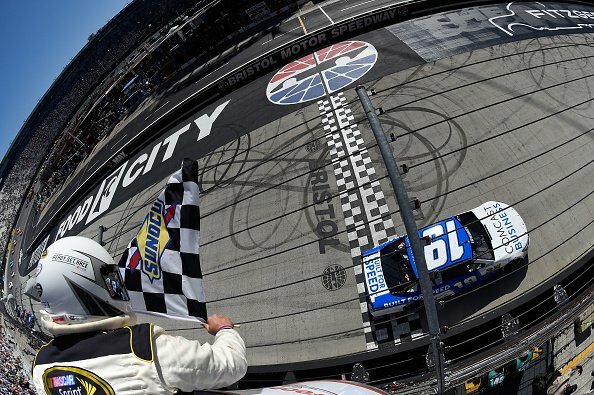 Carl Edwards came out on top of a shootout with less than 10 laps to win his first Southern 500 at Darlington Raceway. 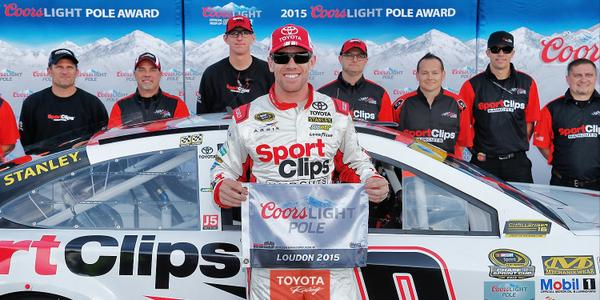 Joe Gibbs Racing has now won seven of the last 10 races. It is Edwards’ second win of 2015 after winning the Coca Cola 600. Edwards was followed by Brad Keselowski, Denny Hamlin, Joey Logano and Kevin Harvick.